Vodka is of Russian origin, or so Russia would have you believe. Poland asserts that they invented it. The word voda (Russian) means, "Water," and there are many ways to celebrate today. Take a distillery tour. Infuse your vodka. Sip it right out of the bottle. 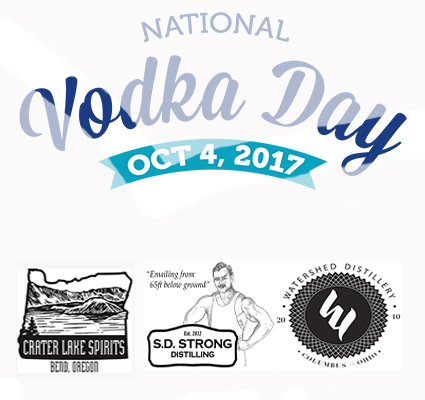 Crater Lake Spirits (CLS) has won more awards than any small batch distillery in America. Ingredients are sourced locally from the mountainous town of Bend, Oregon. They began doing business in 1996 with the release of a gin and a vodka. We are most impressed with all of the flavor offerings. Naturally, this spirit is a multi-award-winner. 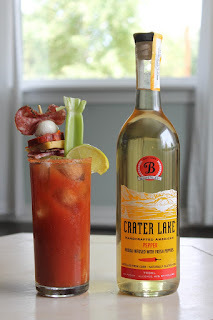 It is infused with a blend of five different sweet and hot peppers for a nice balance. It is yellowish in color and has a spicy sweet nose. The taste is very unique and offers a smooth finish. We prefer ours as a shot with a tomato beer chaser. Add all ingredients into a shaker and shake well. 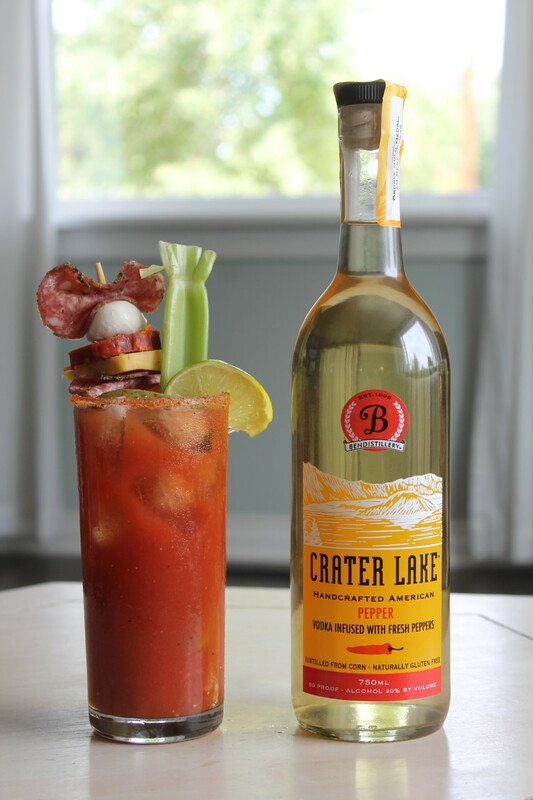 Pour into a salt rimmed glass and garnish with your favorite veggies, meats, and cheeses! 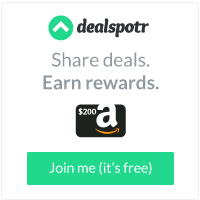 We found this here and it's listed for $20.99. The S.D. 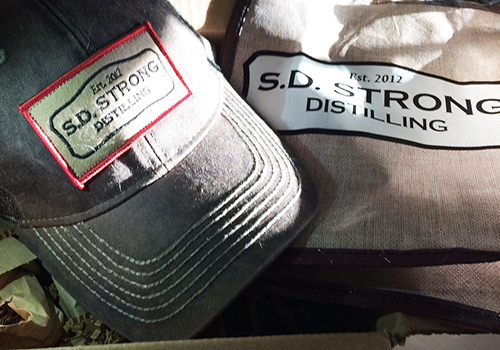 Strong Distilling Company conducts business from Parkville, Missouri. Proprietor's are Lisa and Steve Young. Young became fascinated with the topic of a distillery when he realized that a friend and band mate was doing so - illegally. This boutique distillery was erected in 2012 and the first bottle of vodka was sold in March of 2013. Before the vodka was released the Strong's conducted a blind taste test against Grey Goose, Ketal and Tito's. Strong Vodka was selected as the favorite at a ratio of 7 to 1. There ya go! This is an award-winning 40 proof vodka, created 65 feet under the ground in a cave (underneath Park University). The product undergoes several distillation's and filtration's. The result of all of this care is a really smooth sipping spirit. Bring water, sugar, pumpkin puree, and spice to a boil in a saucepan. Reduce heat and simmer until the mixture becomes syrupy. Once the syrup is cooled, combine vodka, sparkling water, and pumpkin spice syrup to taste. If it pleases you, rim your glasses with sugar before serving. Divide mixture into three glasses. In TX our vodka can be found at all of these locations. Otherwise, feel free to look here. 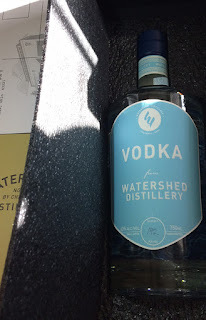 The Watershed Distillery is a Columbus, Ohio micro-distillery and their primary agenda, upon opening the distillery was to focus on outstanding product and to doff conformity and other useless ideas. They did this with the buyer, the family and the community in mind. Keeping all of this in mind has gotten them where there are today. They have been in business since 2010 and have amassed plenty of positive reviews from visitors. This 40 proof vodka is made with locally-sourced corn and apple. It's really smooth and a little sweet. It is distilled four times and was first made the year that the distillery opened. Add ingredients to cocktail shaker. Shake for 20 seconds. Pour over new ice in a Collins glass. Top with coconut LaCroix. Garnish with cut lime wheel. Add ingredients to a cocktail shaker, Strain over new ice in an old fashioned glass. Garnish with a pineapple stave. *To make Pineapple syrup mix 1c pineapple juice with 1.5c white sugar. Stir until dissolved. Add all ingredients except for the cider to a shaker tin. Shake with ice until well chilled. Strain over new ice in a wine glass and top with sparkling cider. *To make Honey Syrup: add 2 cups of honey to 1 cup of hot water and stir until dissolved.